Family Law in Australia identifies the underlying principles of family law by examining the historical, social and legal background to the present law. It discusses the evolution of family law in its contemporary context and critically evaluates patterns of past and future reforms. 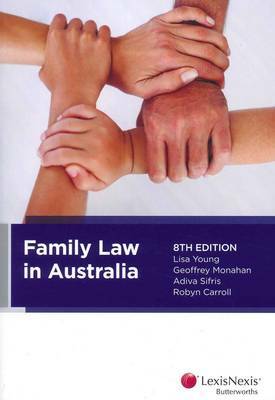 The eighth edition of Family Law in Australia has been restructured and fully revised by a team of authors highly experienced in family law. The comprehensive, detailed and accessible analysis of key family law issues and their positioning in the social environment make this text invaluable both for practitioners and for scholarly and vocational study in law.